For Christmas, my friend Mauricio gave me a drawing of a cat on some boxes, and I loved it. I loved it so much, in fact, that upon arriving back at my apartment, I immediately matted, framed, and hung it on the wall. Before I go on, I need to tell you another story. My first internship in fashion was at a company called Anna Sui. Sometimes at Anna Sui, my job would be to work with the men in the shipping department. The shipping department was full of spanish-speaking, hilarious men. When they weren't too busy, the men in the shipping department would sit around and make fun of each other in spanish. It was riotous. In another department, there was a woman named Trish, and Trish was their favorite employee at Anna Sui. Whenever Trish would come around, a guy named Victor would tell her how much he loved her, and she would deflect him with a comment of something like, "I hate you, Victor," and he would pretend to be hurt. When Trish would walk away, all of the men would wait until she was gone, and they would make more comments about her to each other. 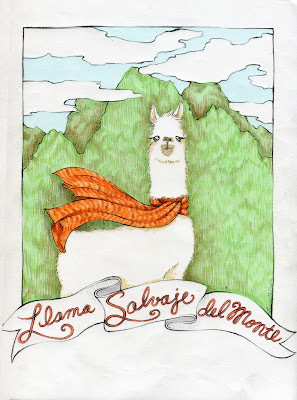 My favorite one, though, was that she was "la gate salvaje del monte." This roughly translates to mean "the savage cat of the mountain." 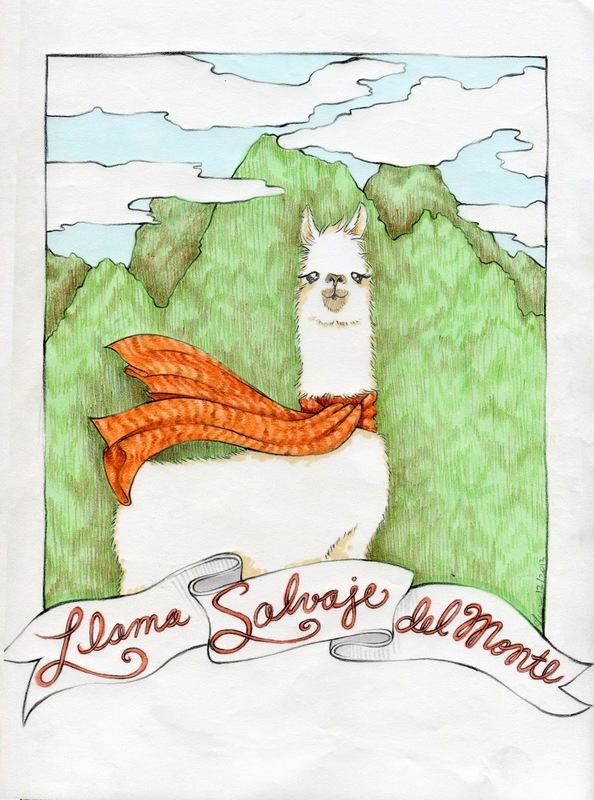 So, since Mauricio is from Peru, I just switched out the Cat for a Llama in a scarf. I think it's fun and colorful, and I thought I would share. Below are some process photos if your'e into that.